Which restaurants gained Michelin stars in the Michelin Guide 2014? Which restaurants gained stars in the Michelin Guide UK 2014? In the Michelin Guide UK 2014, Dinner by Heston Blumenthal and The Greenhouse were promoted from one to two Michelin Stars, to join the 21 other two Michelin star restaurants, while four restaurants maintained their three Michelin star status. 15 restaurants were awarded their first Michelin star, including Lima, which is the first Peruvian restaurant to be awarded a star. These joined the other 138 one Michelin star restaurants. Which restaurants won awards in the Michelin Guide UK 2014? Which restaurants gained stars in the Michelin Guide France 2014? The 2014 Michelin Guide France saw restaurant Arnaud Lallement’s Assiette Champenoise awarded three Michelin stars, but due to closure for remodel, Alain Ducasse au Plaza Athénée was not included in the year’s guide. Six new restaurants were awarded two Michelin stars, including chef Stefano d’Onghia of II Cortile who was the first Italian to be awarded two Michelin stars in France. 57 new restaurants were awarded one Minchelin star, to being the total of one star restaurants to 504. One of the stars was awarded to Table's Uzèz chef Oscar Garcia at only 25 years old. Three restaurants were deleted of their two Michelin stars, and five restaurants went from two to one Michelin stars. Which restaurants gained stars in the Michelin Guide Italy 2014? The Michelin Guide for Italy 2014 saw it’s eighth restaurant awarded three Michelin stars after Restaurant Reale gained its third star. Three restaurants were awarded two Michelin stars, all of them promoted from one star, with 29 restaurants awarded one star to join the other 252 once Michelin star restaurants. Which restaurants gained stars in the Michelin Guide Germany 2014? The 2014 Michelin Guide Germany saw Restaurant Überfahrt awarded a third Michelin star to join the other 10 three star restaurants. A further three restaurants have gained a second star in the 2014 Michelin Guide for Germany, which takes the total of two star restaurants up to 37, along with 39 new one Michelin star restaurants. The 2014 Michelin guide shows the rise of female Michelin star chefs, with four female chefs awarded their first Michelin star. Which restaurants gained stars in the Michelin Guide Spain and Portugal 2014? The Michelin Guide for Spain and Portugal 2014 saw three stars awarded to DiverXO in Madrid, with Spain now home to eight three-star restaurants. Two restaurants were awarded two Michelin stars, but due to closure, two-star restaurant Can Fabes is no longer featured in the Michelin Guide. The two new restaurants join the other 15 two-star restaurants in Spain and Portugal with a further two. A further 20 restaurants in Spain were awarded their first Michelin star along with Portugal gaining two new one-star restaurants in the 2014 Guide. The new one-star additions take Spain’s total up to 134 and Portugal up to 10. Which restaurants gained stars in the Michelin Guide Switzerland 2014? The Michelin Guide for Switzerland 2014 saw Focus restaurant in Vitznau awarded two Michelin stars after reopening in March 2013 after extensive refurbishment. Focus joined the 18 other two Michelin star restaurants in Switzerland. While no additions were made to the two three Michelin star restaurants, 15 restaurants were awarded their first Michelin star, meaning the 2014 Guide for Switzerland now features 89 one-star restaurants. Which restaurants gained stars in the Michelin Guide San Francisco 2014? The 2014 Michelin Guide for San Francisco saw, Michael Tusk’s, Quince restaurant promoted from one to two Michelin stars to join the other seven two-star restaurants, while The French Laundry and The Restaurant at Meadowood remain the only three-star restaurants. Newly refurbished, State Bird Provisions restaurant earned its first Michelin star in the 2014 guide, joining the other 29 one-star restaurants in San Francisco. Which restaurants gained stars in the Michelin Guide Chicago 2014? The Michelin Guide 2014 for Chicago saw Grant Achatz’s Alinea restaurant awarded the city’s only three Michelin star rating, as well as, the Grace restaurant awarded two Michelin stars. Sixteen restaurant rose from one to two Michelin stars to join Grace and two other two-star restaurants in the 2014 guide for Chicago and a further five restaurants gained their first Michelin star. The new one-star additions join the other 15 restaurants who maintained their one-star ranking. Which restaurants gained stars in the Michelin Guide Hong Kong and Macau 2014? The 2014 Michelin Guide for Hong Kong and Macau see three new three Michelin stars awarded to Bo Innovation and Sushi Shikon in Hong Kong and The Eight in Macau, bringing the regions total to seven three Michelin star restaurants. Three new two Michelin stars were awarded to restaurants in Hong Kong and previous three-star Caprice was awarded two stars due to a change in chef, making the regions total to 15 two-star restaurants. A further 16 restaurants were awarded a Michelin star, with four in Macau and 12 in Hong Kong, bringing the total of one Michelin star restaurants across the two to 51. Which restaurants gained stars in the Michelin Guide New York 2014? The 2014 Michelin Guide for New York saw the seven three Michelin star restaurants maintain their position, whilst restaurant Jungsik rose from one to two Michelin stars to join the four other two-star restaurants. Due to the closure of Cordon and Gilt and the deletion of the two Michelin stars of Gordon Ramsay at the London, they are not in this years Michelin Guide. Babbo regained its one Michelin star, along with three new one-star restaurants to join the other 51 one-star restaurants in New York. 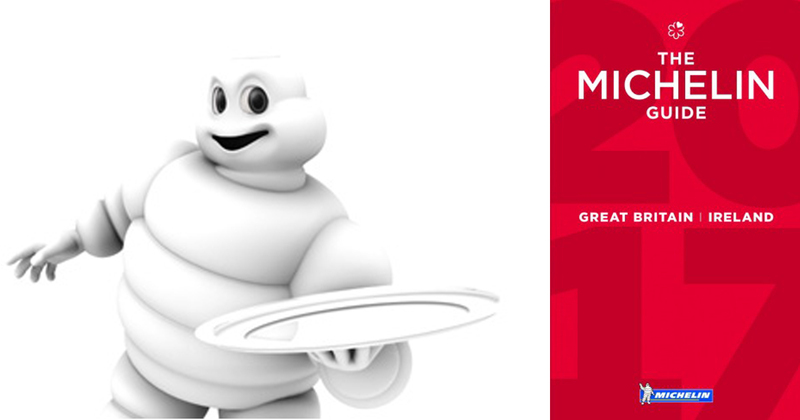 Which restaurants gained stars in the Michelin Guide Belgium and Luxembourg 2014? Two restaurants have been awarded a second Michelin star in the Michelin Guide 2014 for Belgium and Luxembourg, which take the regions total to 17 two-star restaurants. Restaurant Danny Horseele lost it’s two Michelin stars in July 2013 due to bankruptcy, but chef Danny Horseele was awarded a Michelin star in the 2014 Guide with his new restaurant Horseele. With no additions or deletions, the number of three-star restaurants remains at 3, with all being located in Belgium. A further 18 restaurants in Belgium were awarded a Michelin star in the 2014 Guide and another one-star restaurant in Luxembourg, making the combined total of one Michelin star restaurants to 112. Which restaurants gained stars in the Michelin Guide Tokyo 2014? The Michelin Guide for Tokyo 2014 saw six new two Michelin stars awarded which join another 53 two Michelin star restaurants. Three of these new two-star additions have gained another star since the previous year. A further 15 restaurants have been awarded their first Michelin star, taking the total of Tokyo’s one-star restaurants to 208. Which restaurants gained stars in the Michelin Guide Netherlands 2014? A third star was awarded to De Leest restaurant in the 2014 Michelin Guide for Netherlands, which is the fourth restaurant in the Netherlands to be awarded three Michelin stars. Former three-star restaurant Oud Sluis is not featured in the 2014 Guide due to closure. A further three restaurants have gained a second Michelin star in this years’ guide, taking the total of two-star restaurants to 19. Former two-star restaurant Ron Blaauw no longer featured in the Michelin guide due to the relaunch of the restaurant under new name Ron Gastrobar, which has been awarded one Michelin star. The total number of one Michelin star restaurants in the Netherlands stands at 84 due to the addition of nine new Michelin star restaurants. Which restaurants gained stars in the Michelin Guide Main Cities of Europe 2014? The Michelin Guide for the Main Cities of Europe 2014 saw the Funky Gourmet restaurant in Athens awarded two Michelin stars, joining another nine restaurants who were awarded two stars in the guide. A further 66 restaurants were awarded a Michelin star, along with a new three-star restaurant Diverxo in Madrid.